Textbook name and links have been corrected in outline. We also talked about problem 108 - Maximum Sum. In a one dimenstional list, the optimal sum can be solved with Largest Sum Contiguous Subarray (GeeksforGeeks) in time O(n). Unftunately, problem 108 is for a 2-d array and Kadane's does not naturally extend that way. Brute force is way to slow (I tried years ago). Applying Kadane's algorithm to each of these 10 1-d arrays and taking best answer wins! Typically, DP problems process some sort of tree, graph or matrix recursively. Once a value for a portion of the path is calculated it is saved so future visits to that point can simply use the value instead of recomputing it. Another term that shows up is Optimal substructure. This means that the problem can be solved optimally by solving sub-problems optimally. Implementing code via IF, CASE, Array. A piece of code can be developed many different ways. Rgw choice you make impavts how executable code you need/runtime and data. Often one can be traded for the other. Becomes really important when cache sizes are taken into account. Talked a little about context switching (Wikipedia). When a process loses its turn and the cpu moves to the next process the cpu has to store all the current registers somewhere and tehn preload the registers for the incoming process. These steps (and a few other things) happen during a context switch. This takes a while (saving and restoring all the registers). I also talked about arrays/ I covered a technic for reducing overhead when passing a 3x3 window over a 2d array. I also talked about a technid to reduce overhead for doing a spiral search in a 2D array. The North American Invitational Programming Contest 2019 is March 2. North American Championship -- our region currently is eligible for 4 teams to be invited. In other words the top 4 finishing schools would get an invite. Looking at 2018 results, the top 8 spots were occupied by 4 unique schools. In other words, the school in 9th would be the first loser. What do we have to do to be a top 4 school in the region? Essentially each team has a timer for each problem that starts when the contest starts and increments by 1 every time a minute passes. The counter for a problem stops when the team submits a solution that is judged correct. Any non-correct submission adds 15 minutes to the timer. Any problems never solved are ignored in scoring (wrong submissions for an unsolved problem do not change your score). The team that solves the most problems wins. In cases where multiple teams solve the same umber of problems, lower time/penalty points are better. In cases where number solved and penalty points are identical, the team that solved a problem first is chosen. What do we need to do to be a top 20 finisher? In looking at top 25 from last year, 17th through 23rd soved 5 each -- in other words you needed to solve at least 5 problems last year to be in top 25. 17th had 338 penalty points where 23rd had 801 penalty points. The difference was that 17th solved 3 in the first hour, another at time 81 and another at time 142 (essentially 2 hours in was it for them). 23rd solved 2 in the first hour, another just before 3rd hour ended, another just before 4th hour ended and their last with only 22 minites to go. While 17th is better than 23rd -- 23rd made effective use of the entire contest and continued to work with positive results for almost the entire 5 hours. 17th continued to work after the 2nd hour ended but had no additonal success. 5 hours is a very long time to work solid on contest problems. Unless you practice this quite a few times, you will not make good use of the second half of the time period. Took opportunity to quote: Two hours at the keyboard can save you twenty minutes of planning. We all have a tendency to think at the keyboard. Stopping a spending a few minutes in advance wher you plan can often dramatically shorten the time to solve a problem. 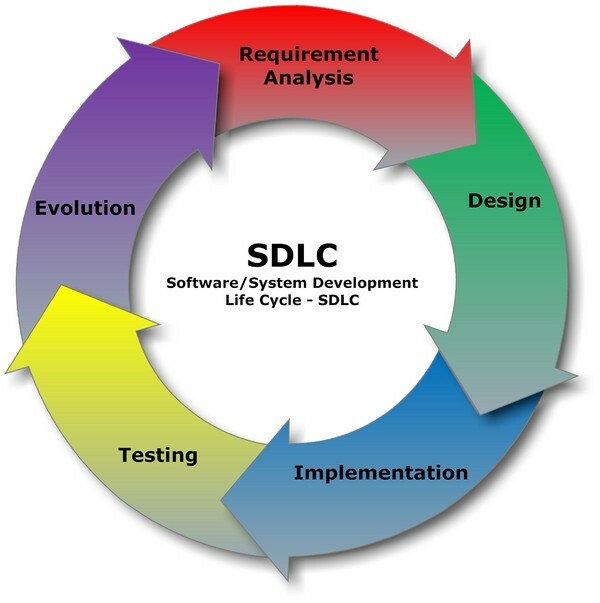 At this point I referenced the Software Development Life Cycle and pointed out that a good understanding of the problem (requirements analysis) followed by a good plan for data structures and algorithms (design) dramatically reduce the time to code a solution/project (implementation). This becomes even more important in a contest where only one computer exists. Making sure you have a good requirements analysis and design completed before you take ove rth ekeyboard to do implementation is crucial to making best use of the single computer. Also shared my ideas on how to get better grades with less effort -- how to work smarter. Also shared that no win scenarios are best handled by altering the situation to provide a winnable scenario.